How To Select A Manassas Property Management Company | Metro 100 Realty Inc.
First of all, why should you consider hiring a Manassas property management company? Property management can be time consuming, tedious, and frustrating. Keeping a rental property profitable and running smoothly requires an ongoing presence and a full-time commitment of seasoned professionals. Many property owners have neither the time nor the expertise to manage their properties to maximum efficiency. Increase the net operating income by recommending rent increases and/or reducing operating expenses. What basic services should you expect in a standard property management agreement in Manassas? Rent Collection: This includes collecting and banking rents and other income from tenants and updating records on a daily basis. The status of each tenant should be tracked monthly, along with delinquency reports, and this information should be forwarded to the property owners as appropriate. Bill Payment: This includes utilities, vendors, and mortgages. Property Maintenance: The property needs to be kept up for safety of tenants as well as to preserve the value. Financial Reporting: There should be an annual budget for expenditures, and monthly statements should be forwarded to ownership. Tenant Supervision and Relations: This necessitates 24 hour access by the tenants to respond immediately to emergencies and concerns as they arise. Rental Analysis: As market conditions change, the property management company should provide recommendations for rent increases, and then handle the lease negotiations and renewals. Employee Supervision: This entails the hiring, firing, supervision and payment of all employees assigned to the property. In short… a property management company should protect the property for the owner, manage it to maximize profits, minimize unnecessary expenditures, and keep the tenants happy. At Metro 100 Realty, we have over 30 years experience helping buyers identify and buy real estate properties in Northern Virginia. We specialize in real estate located in Prince William, Fauquier, and Warren counties, along with the cities of Manassas, and Manassas Park. 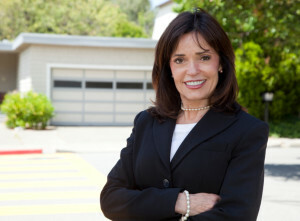 Our professionalism toward both the buyer and the seller in every real estate transaction is unparalleled. We insist on client satisfaction in all of our real estate transactions, and will do what must be done to close each contract successfully.